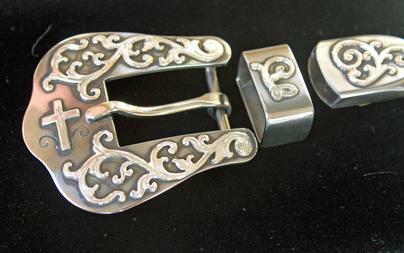 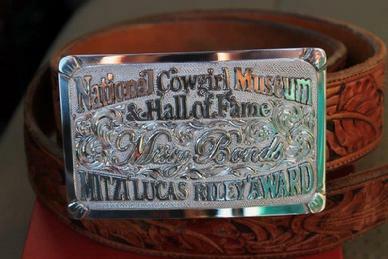 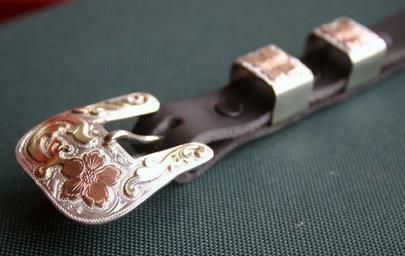 1" loop-through Plainville belt buckle; polished steel with sterling mountings. 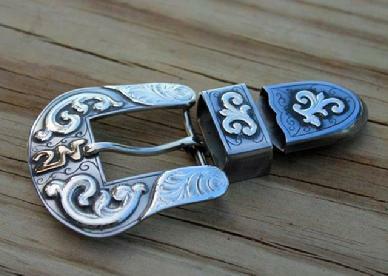 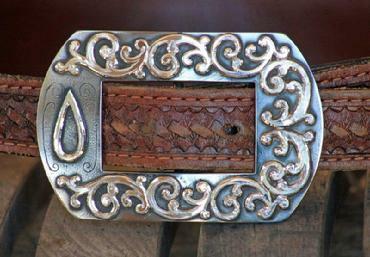 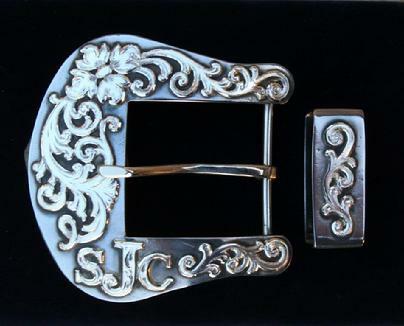 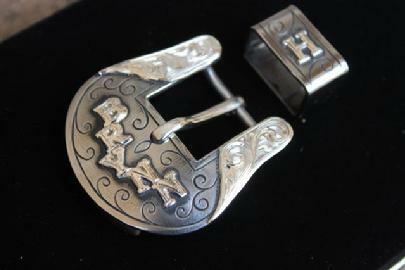 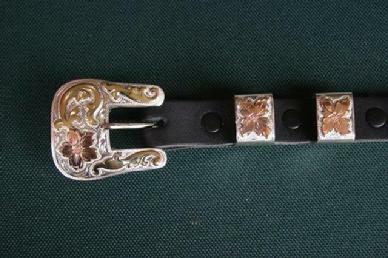 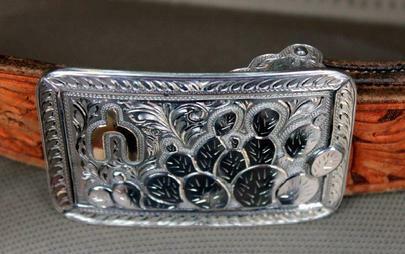 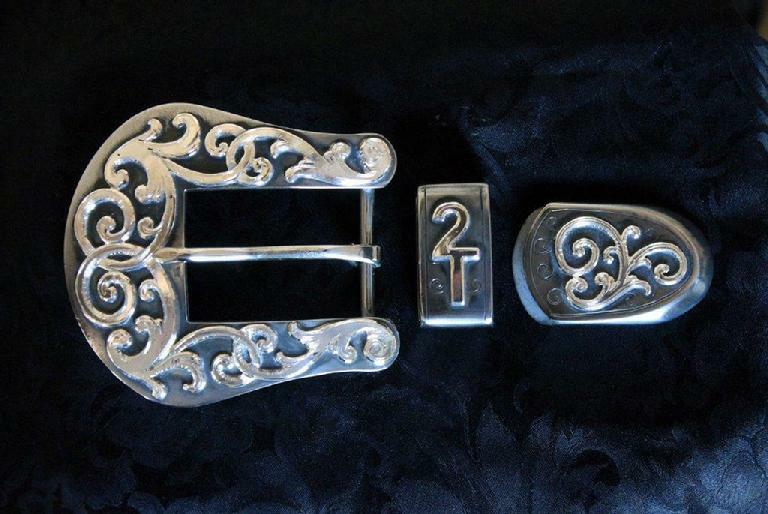 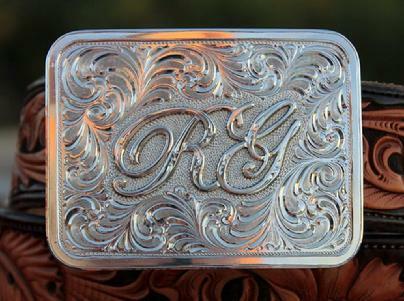 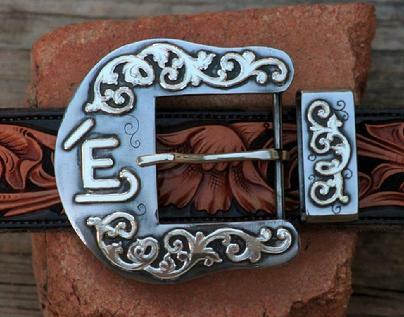 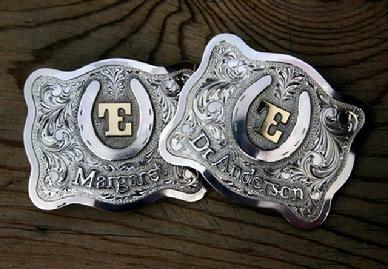 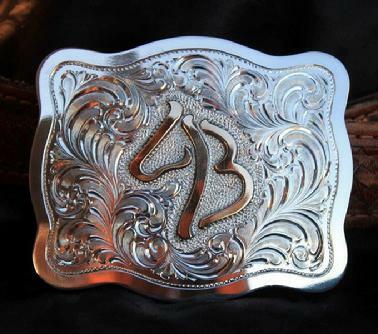 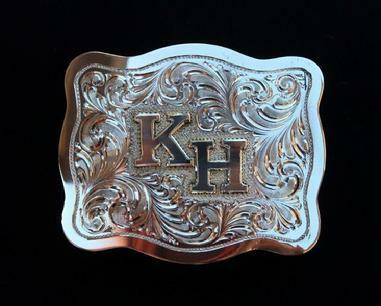 Belleville buckle made of sterling overlay buckle with sterling initials for 1" belt. 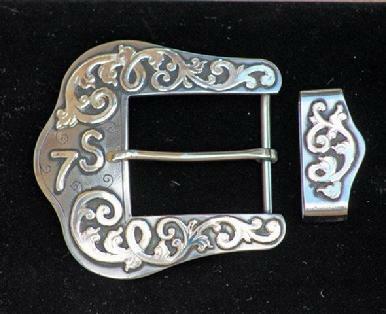 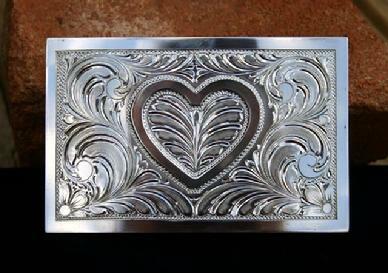 Solid sterling silver Garden City buckle with heart brand on sterling overlay buckle.